The responses we received came through very quickly and the 'Tender' service StuckForStaff provided was very professional. The staff we had work on our brand were great on the day and they were extremely impressed with the agency who provided them. We would use both the agency and SFS again when either need arises. "An overall magnificently efficient service from point of placing the tender to quality of staff provided." "We used Skillbox.me for our trade stand in Edinburgh. 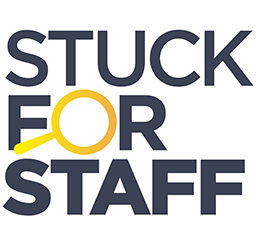 The lady they provided was great, and we may be able to do further work with LA Skillbox in the future, all thanks to StuckForStaff!"